No more middle of the night bed stripping. 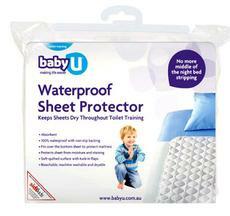 These Baby U waterproof sheet protectors keep sheets dry during the process of night time toilet training. The tuck in flaps hold the protector sheet in place on top of the bottom sheet while your child sleeps. 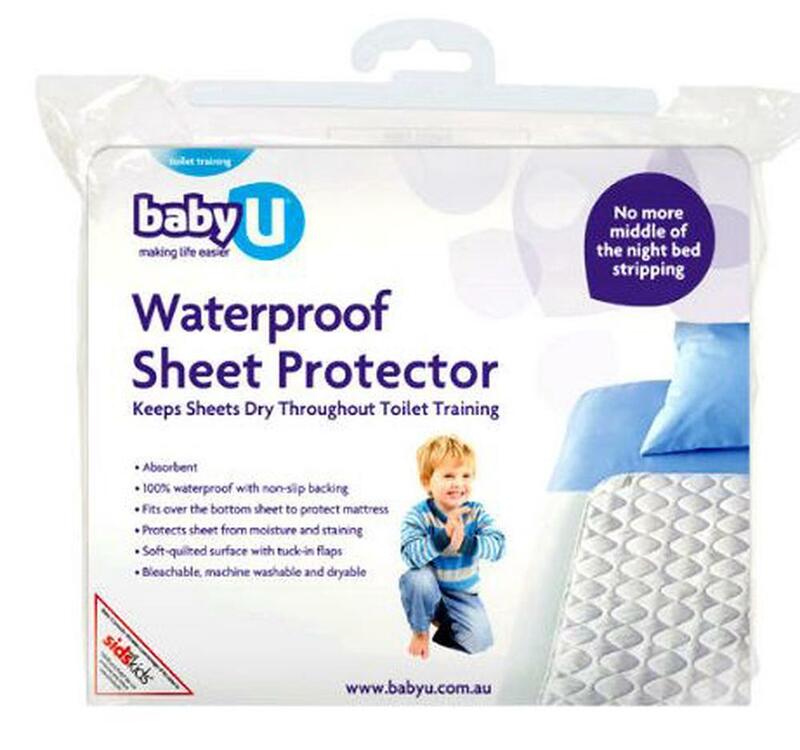 When the bed is wet there's no need to remove the sheets, just the Baby U waterproof sheet protector...less disruption for child & parent/carer, making it easier to return to sleep.